You have a lot to manage. 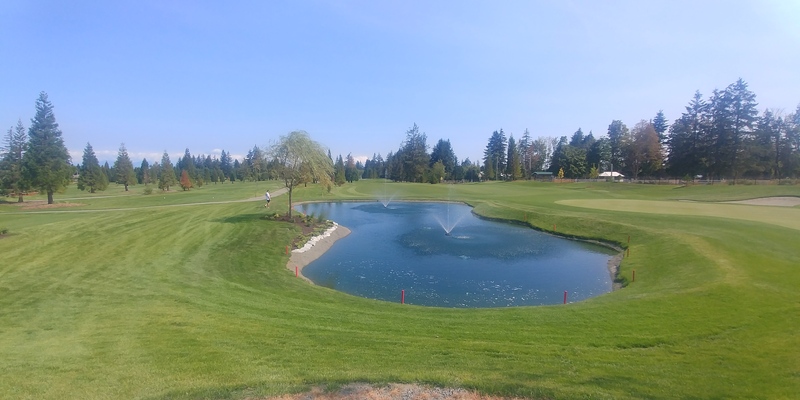 Our products and regionally designed pond care programs for golf courses make it easy to maintain your course irrigation ponds and water hazards safely and naturally. 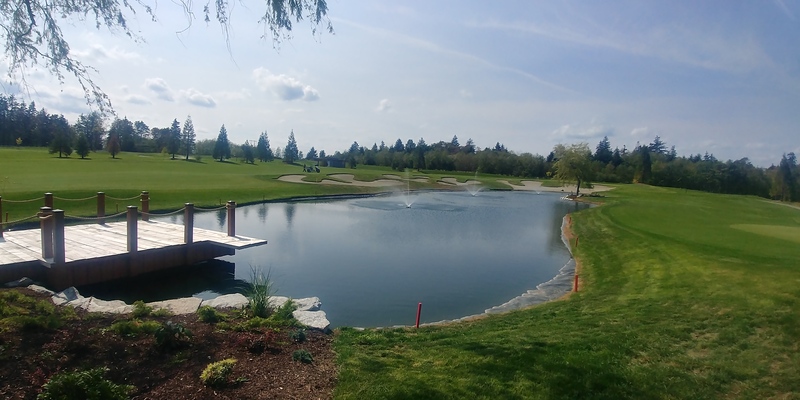 If you are a Superintendent, Groundskeeper or Facility Manager, you know how difficult and expensive it is to keep your ponds looking as good as your greens and fairways. You also know that toxic pond chemicals can harm your turf, wildlife and people. They have not worked in the past and you continually struggle with keeping your course water clean and clear. You are professionally trained to keep things green. 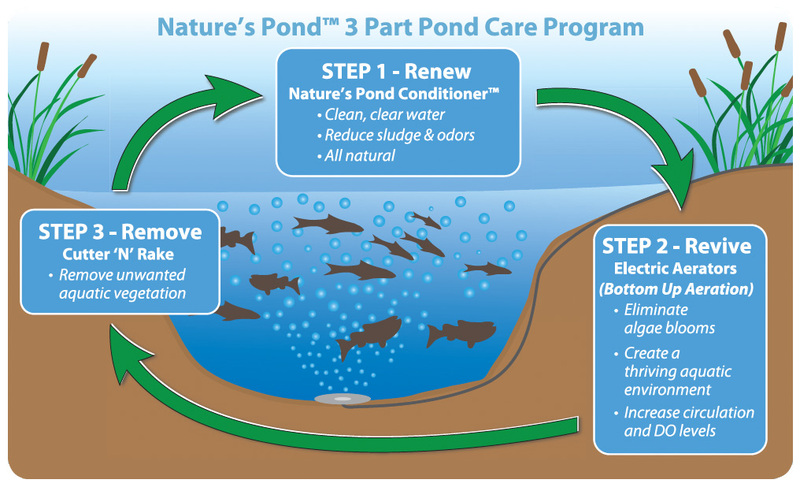 Let us help you keep your water blue, Nature’s Pond Care programs have been designed and proven over the last 30 years by serving tens of thousands of pond and lake owners around the world. In the process we have designed a pond care program that addresses over 90% of pond problems that exist on today’s golf courses. Nature’s Pond™ products enhance the natural beauty of your ponds as well as protect the valuable wildlife habitats that your golf course provides. Our pond care products improve water quality, are safe for your staff to use, and minimize potentially harmful impacts to your course and the environment. They also provide you with a program where your pond care budgets reduce over time instead of constantly increase because the pond problems are becoming worse and worse every year. Allows you to gain control of your ponds and maintain them with a program that is affordable and sustainable, allowing you to spend more time and money on the things that matter most to your members. Three-Part Program. One Easy Choice. Golf Courses use chemical fertilizers that offer quick solutions to many lawn care problems. These chemicals also contain nitrates, phosphates and other pesticides that can be harmful to the environment. These chemical fertilizers run off from lawns and fairways into ponds, lakes and streams. These chemicals are the preferred nutrient for algae, weeds, plankton and other unwanted aquatic vegetation. As this vegetation grows it impacts the oxygen levels of the water and can in turn dramatically affect the health of fish and wildlife. If these are irrigation ponds then there is another whole host of issues that need to be addressed such as pumps and filter maintenance, sprinkler head cleaning, concerns over health of turf when using this irrigation water source etc... Just killing off this aquatic vegetation only adds to the problem. It sinks to the bottom of the water and adds more nutrients to it. The water starts to smell, insects are more likely to breed in these waters and become more prevalent in the area. Keep your chemical fertilizers for your turf and lawn care. Change the way you maintain and care for your ponds to a way that is proven to work. One that lessens your burden on pond care maintenance year after year, not increases it. Let’s keep your grass green and your water Blue. Deploy Nature’s Pond care products and we will provide you with a maintenance program for your Golf Course that is regionally specific and helps you get control of your pond water quality. This course had been struggling with algae, weeds and sludge for years. Thier pond was so murky that they has no idea how deep their water hazards were. 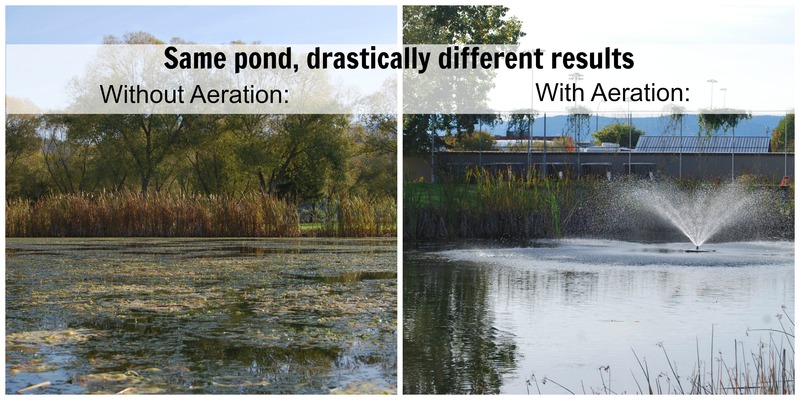 One half of thier pond has been treated with Nature's Pond 'Bottom-Up' Aeration, the other half has been left untreated. See the amazing difference below! 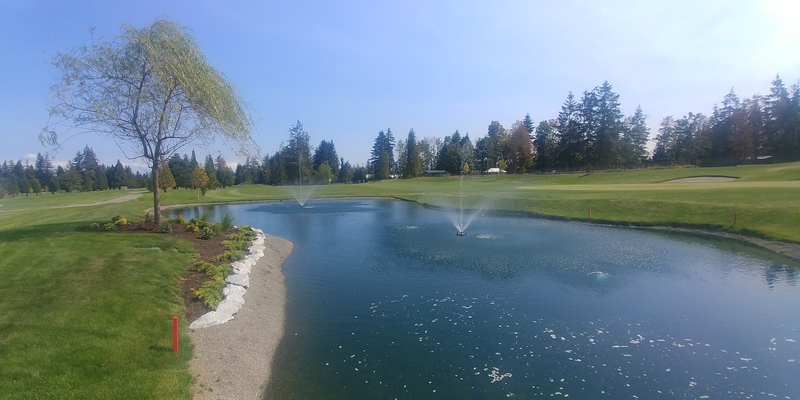 Greg Austin, Golf Course Superintendent, explains in this video (click here to view) what he does to maintain the ponds on the recently redesigned Campbell River Golf and Country Club in British Columbia, Canada. He uses Nature's Pond Conditioners and Dye and Bottom Up and Top Aeration systems from Koenders Water Solutions. 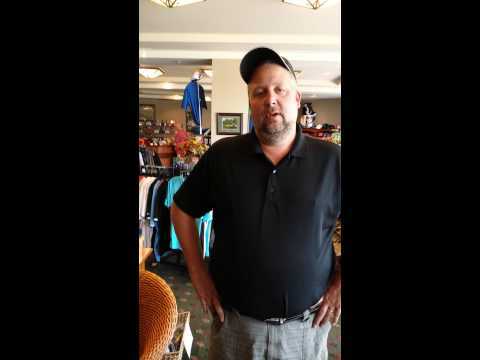 “The Koenders HD 450 Electric Aeration System is Amazing! We use it at our Golf Course to keep the water clean and the fish alive and healthy throughout the winter. I am very impressed with the Koenders HD 450 Electric Aeration System - I set it up with 2 air diffusers. I cut a 1.5 ft hole in the ice for each air diffuser and lowered them down and a couple days later each hole had increased to about 20ft in diameter WOW !!! And it’s been 20 below C every night too ! 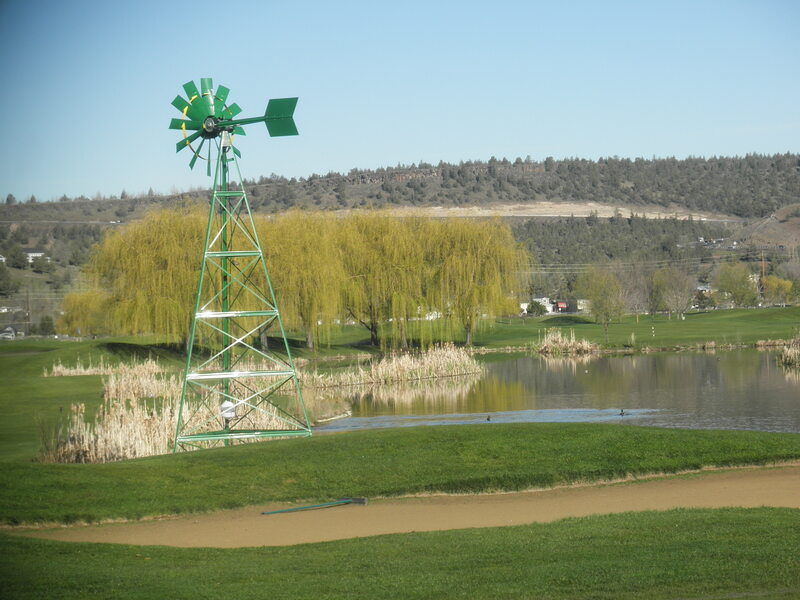 "Since 1993 the City of Prineville has operated the Meadow Lakes Golf Course. This course is part of the City's wastewater treatment plant and is used to dispose of treated effluent. The course contains 10 large ponds of treated effluent, providing a water hazard on all 18 holes. As the ponds contain treated wastewater in such close proximity to the public, the Department of Environmental Quality would not allow for water features to be used that would spray or aerate the water. Bottom Up aeration was required and was the only type of aeration that was permissible. The City recognized that the ponds needed to be aerated to prohibit the production of hydrogen sulfide and to clarify the water. However, there was no power source near the ponds to provide aeration and trenching miles of power lines through the turf and irrigation systems was not possible. The City teamed with Koenders Water Solutions Inc on a solution. By placing 5 separate windmill systems on various ponds, the City has cost effectively solved the problem. The windmills have now been working for 2.5 years and the hydrogen sulfide smell has not been an issue once. Also, water quality is slowly improving. Overall, Koenders Water Solutions have been a great, cost effective solution for the City of Prineville." "Our #10 lake is 140 yards long by 40 yards wide and 14ft deep. The pond was stagnant and would turnover twice a year. The water became murky and released an awful sulfur odor that travelled miles away. Dozens of complaints from neighboring homeowners forced us to find a solution to our pond problem. We tried chlorine, but that did nothing. We tried sulfuric acid, which cleared up the water and reduced the smell, but the pond quickly reverted to a murky, smelly mess as the pH level decreased. We even tried to drain the lake and refill with fresh water which brought on more complaints as the disgusting water travelled through the storm drains. Finally, at the 2015 turf industry show we were introduced to Doug Hicks from Koender’s Water Solutions Inc. We purchased Nature’s Pond HD-450, a ‘bottom-up’ aeration system and Nature’s Pond Conditioner, an all-natural blend of beneficial bacteria, enzymes, plant extracts and a food grade dye which works to break down and consume organic matter in water. We buried the aeration unit by our nearest irrigation clock and ran airlines through a shallow trench to the lake. The ability to run airline was both cheaper and safer than running electrical cable to the pond. We used koenders 3-way valve to split the air into three different airstone diffusers in the pond. Once we had the air successfully circulating through the lake, we added the first application of Nature’s Pond Conditioner -- Ultra Concentrate. We poured the concentrate directly over each diffuser and allowed it to work itself through the lake. Now, 21 days later the smell is completely gone, the water is clear and we see further into the lake than ever before. We also see signs of life, as tiny tadpoles have appeared along our pond edges. I have attached before and after photos of our pond. After a successful installation and seeing first-hand the difference the HD 450 aerator and Nature’s Pond Conditioner made on my pond, I give my full recommendation to any Golf Course Supers to try Nature’s Pond Care Program. 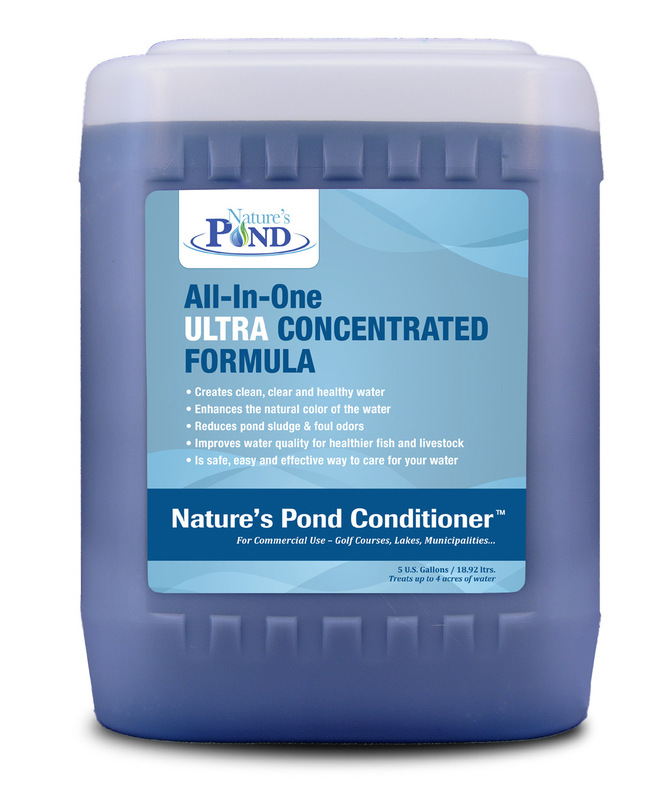 Renew your pond with Nature’s Pond Conditioner and Revive it with Nature’s Pond HD-450 ‘bottom-up aeration’ - powered by Koenders Water Solutions. It really works!!"